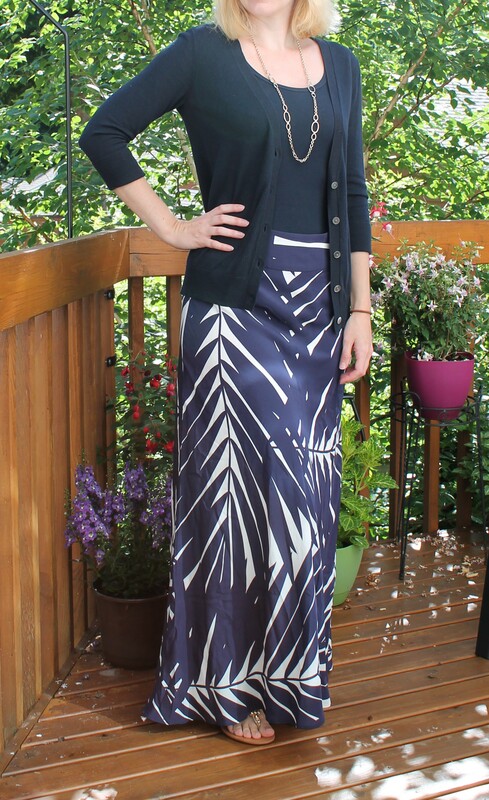 A few months back I started to get into the whole maxi skirt/maxi dress trend. I love the maxi because it is cool and comfortable on hot days, but also keeps me warm in the air conditioning. It works well for my pear shape, because it drapes nicely from my hips giving me a nice clean silhouette. I can easily pair this one with my usual jean jacket, a chambray shirt, or cardigan.